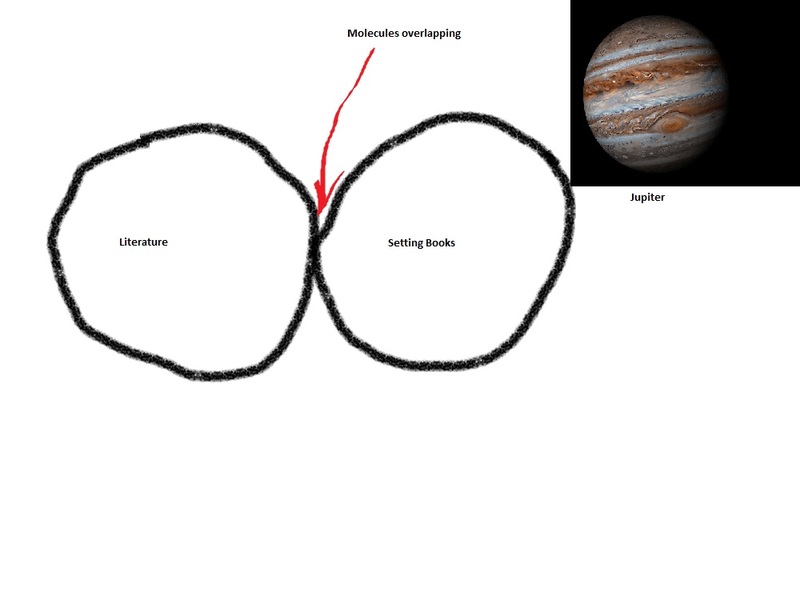 This sub-genre can be split into two further subgenres: setting books which are enjoyable to read on their own merits because they are highly imaginative, and things which have characters and a plot but where the setting itself is the main point of interest. I can think of a handful of examples of each. The original Planescape boxed set: the setting is so interesting that you can quite happily read it cover-to-cover. Maze of the Blue Medusa. Whether you would call it a "setting book" per se I'm not sure, but interpreting that phrase a little loosely it definitely qualifies - I read it as literature first and gaming material second. The Glory of the Empire: A Novel, A History. A slightly pretentious French setting book which records 1,000 years of history of an imaginary empire which rivaled Rome. Changing Planes. Ursula K. Le Guin does Borges, basically - a whole book of vignettes about strange societies and the peoples who inhabit them (and worth tracking down if you can find it). Gulliver's Travels would go in this category. Nobody really reads it because they care what happens to Gulliver, do they? Dinotopia. Dinotopia does have a plot, I think, but I can't remember any of it. The point is the dinosaurs and the very thematically consistent, beautiful artistic depictions of them and how humans interact with them. The Years of Rice and Salt. I have read a lot of Kim Stanley Robinson novels and quite a few of them flirt with being primarily setting books but with a plot and characters to keep you interested for 800 pages. (The Mars trilogy has this feeling at times.) This one, though, tips over the edge into being an alternative history rather than a novel. Invisible Cities. Italo Calvino's masterwork sort of has a story threading it all together, but the point of it is really the descriptions of the different cities/city. For me such setting books also will be Malfeas and Underworld from Exalted 2nd edition (the first book more than the second one). P.S. noisms, I'm using Yoon-Suin to model a small city built in the bowels of a spaceship - it's working quite well! +1 to Invisible Cities. I guess I set out looking primarily to absorb the city descriptions, but ended up caring more about what the book was actually trying to say, haha. Would you care to quote something from Maze of the Blue Medusa that you regard as 'literary' so I can respond ? No. This blog isn't about you and your snide remarks, and I specifically defined what I meant by the word "literature". I meant what I said about this blog not turning into the Kent Club. Even though this is my first time commenting, I wanted to say I've long enjoyed your writing. I'm remembering others, but forgetting their titles. I'll post them here if I remember them. Thanks very much, Shawn. Yes, Gormenghast is a good call. Arguably, most of Asimov’s robot novels. Yes, there tends to be a central mystery, but the investigation of the culture surrounding robots that the author was making was fairly obviously more important than the investigation of the crime the protagonist was making. I only read a few of them and a long time ago but they always felt to me like another sub-genre entirely: fiction as puzzle. Having read a fair bit of Asimov (and there is such a large amount of it out there), I think it is pretty clear that the setting is the reason for his work, that is he does not have a "story" that he must put to paper, but he does have some aspect of technology or speculative society that he must. The story is just how he sold it. Yeah, as I was writing the post I was thinking of Mieville's books. The Scar and Iron Council are both much more interesting for the setting, to me, but they also have pretty good plots - they are borderline really. Mieville admits that his own D&D obsession shows through in Bas-Lag, and especially the monsters and races. Luckily, his plots are equally engaging. I have a book signed by him in which he proclaims his love for Chaosium/BRP...! I've been reading through Yoon-Suin, in preparation to play it as a solo-game with Scarlet Heroes. In your Introduction, you say "there is no single Yoon-Suin, and no Yoon-Suin is ever the same as any other - nor the same way twice. It is a place which is always the same, yet always different, depending on whose game it is, and how the dice are rolled." I happen to think that that's inescapably true of any RPG setting, whether it's intentional on the part of the designer or not, but the way you outright say it has got me thinking. It seems to me that with Yoon-Suin, you intend the "never the same twice" as a literary statement - it's written as setting-generation tables in order to draw attention to the fact that the DM who wants to run it must recreate it for himself (as he would have to for any setting). Furthermore, the way you've talked about Viriconium on this blog, it seems to me that Viriconium's ever-changing setting inspired that approach to Yoon-Suin? If so, that puts Yoon-Suin in a very unusual category - the RPG setting book that plays with form in a way inspired by traditional (non-RPG book) literature. I know this isn't quite what you're talking about in this post, but it seems to me like it might be another side of the same coin. One is Planarch Codex: "If on a wintry plane a freebooter", by Johnathan Walton, a Dungeon World adventure written in the same story-shifting style as Calvino's "If on a winter's night a traveler". (The Planarch Codex setting book, Dark Heart of the Dreamer, should get honorable mention for including a plane-generation mechanic that involves paging through Invisible Cities for inspiration). The other is Paul Czege's The Clay that Woke. In order to present its alien setting, and the game system that goes with it, it alternates between fiction chapters and rules chapters. This is pretty normal for RPG setting books, going back at least as far as The Voyage of the Princess Ark - but the counterpoint between the fiction and rules in The Clay that Woke is particularly interesting. At one point, for example, the hero of the fiction sees a vision of a goat, a snake and a lion are fighting each other, and in their fight end up merged into a chimera. It uses this as an allegory for how the game is meant to be played - creating a story through improvisation, conflict, and consequence. So, I know this isn't what you're talking about in your post, but it's what Yoon-Suin had me thinking about, and it's where my mind immediately went when I read your headline. Yeah, Viriconium was a big influence on Yoon-Suin at the conceptual level of a world which is the same but different in each piece of fiction. I always liked that idea. I know M John Harrison set himself in opposition to Tolkien by doing that but for me both approaches ended up informing the book. 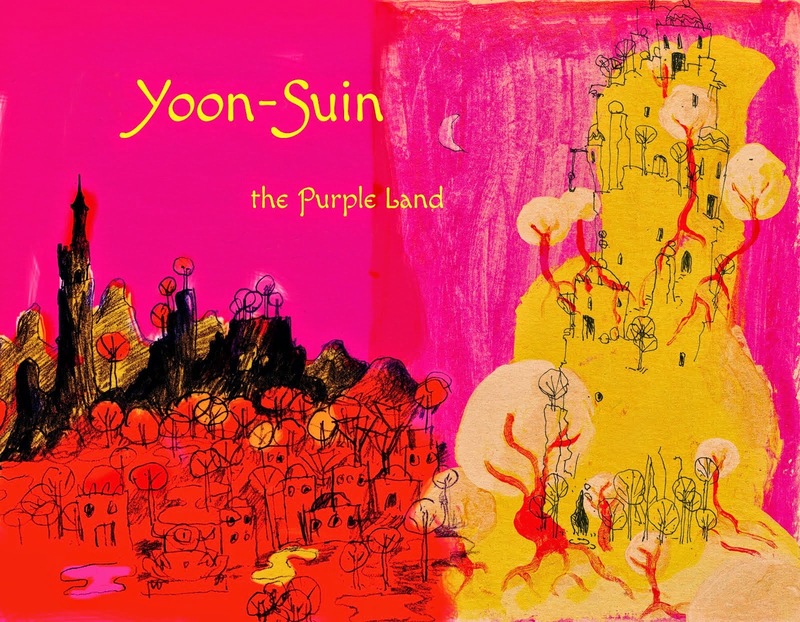 Yoon-Suin is its own world which makes reference to no others (Tolkien) but is at the same time never fixed (Harrison). I'm glad you are inspired to do a solo game using Yoon-Suin. Let me know how it goes! Oh! Viriconium! Yes! So good. 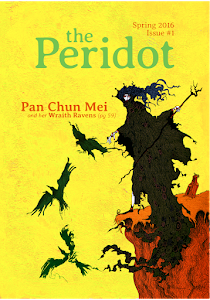 I've enjoyed reading some Pendragon supplements on their own merits. I also remember getting the shivers from reading some Call of Cthulhu scenarios. Everything by Zak S is eminently readable. Actually the Great Pendragon Campaign is a good read on its own. maybe not what are you looking for but unknown armies fits the bill for me. I really like the first couple of chapters of Unknown Armies - especially the big list of freaky events/hooks. I am aware of both but have read neither. Will have to track them down. Everyone will surely have their favorites... But nothing beats Titan - The Fighting Fantasy World. Amazing book. It inspired Dark Souls, among other things. For the other side of equation... I find that much of the Appendix N has a level of world building that equals or surpasses their literary merits. Compare Lovecraft's characters to his monsters, for example. I used to love Titan as a kid. Read it cover to cover several times. The Etched City by KJ Bishop -- The city of Ashamoil is a character in itself. For an actual setting book (a la planescape) I *highly* recommend the Dark Matter setting (the Alternity version). Lots of brilliant idea in there, I had a great time with it... even though I never actually got to *use* it, it was so worth it.